Chandigarh Housing Board is passing the buck and harassing the candidates who have aspired for Post of Chief Liaisoning officer. Chandigarh Housing Board released an advertisement in National dailies for Regular post on 8 March 2018 and last date of submitting forms was 6 April 2018. Candidates were asked to submit Rs 3000 (including taxes) fee along with the submitting forms. Two months have passed, neither any advertisement in National Daily Nor any intimation on official site of Chandigarh Housing Board updated any information regarding this post. 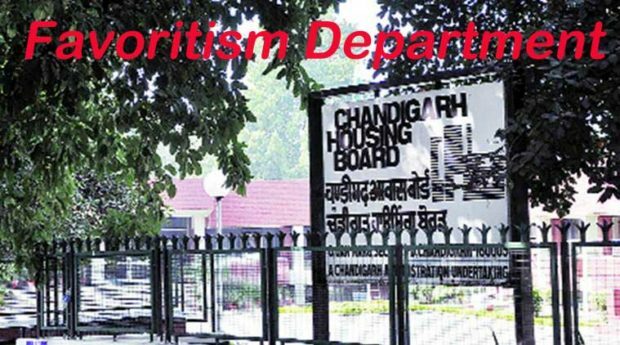 When Candidates approached Chandigarh Housing Board authorities, they have been told that this post was created for a lady who already is working with UT Administration and for whom then authorities have superseded the all rules and regulations. Basically, this post is filled on Promotion basis only. It cannot be filled with direct recruitment. If in case Direct Recruitment is required then authorities have to take prior permission from Governor. But, then posted authorities of CHB ignored the rules and released the advertisement. Department got many applications for this post and in this time span, Top Authorities got transferred. Interestingly, when New Chairman get to know about this blunder, he immediately ordered the department to cancel the post and refund the fees of candidates. But, No one from the department intimated the candidates on their website or through advertisement. Talking on this issue, Harish Nayyar, CEO of CHB said that we will refund the fees which candidates have submitted. It was erroneously released post by previous authorities. We have to reconsider the rules and regulations for this post hence as of now department is looking into case to sort it as soon as possible.